This is a sponsored conversation written by me on behalf of Olay. All opinions are 100% my own. 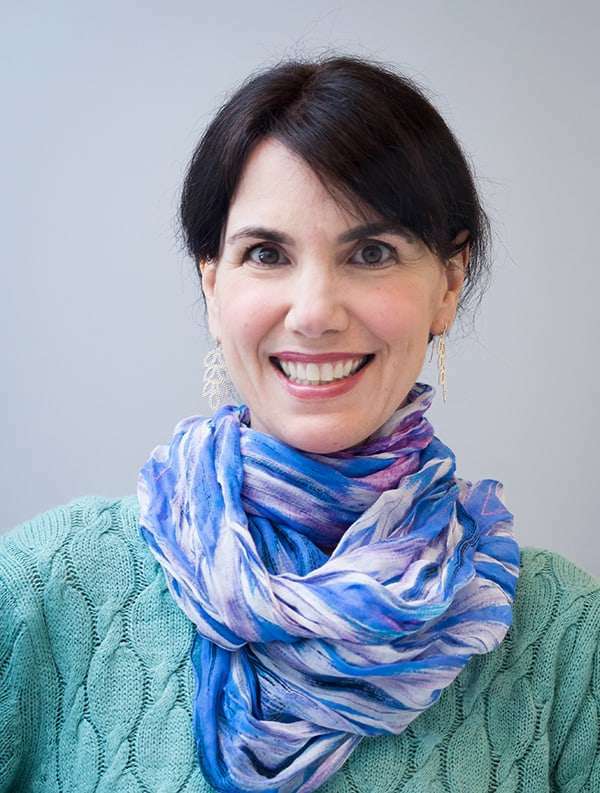 As a busy mom, I’m often on the run. My makeup routine needs to be quick and easy. I’m always on the lookout for products that simplify the steps to my finished look. 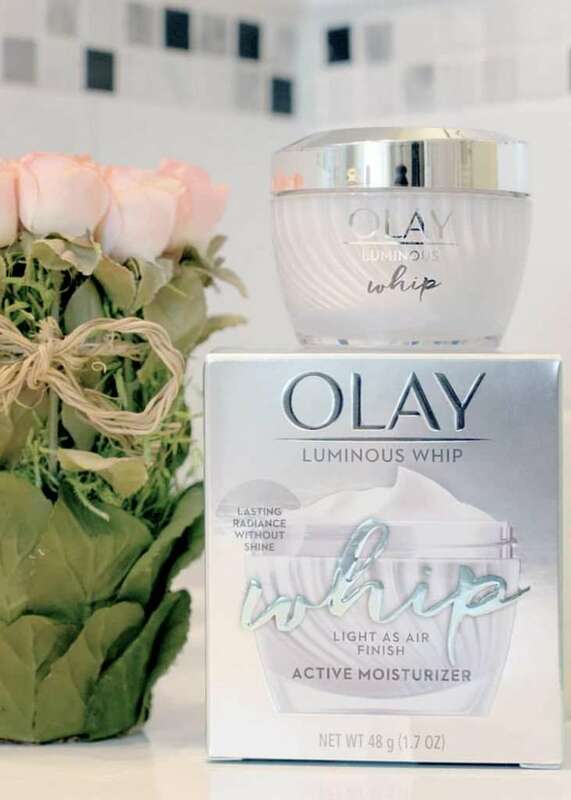 Recently, the folks at Olay asked me to try Olay Luminous Whip. They call it “The Unicorn of Moisturizers.” I assume it’s because it fulfills so many moisturizing and pre-makeup needs that it’s almost mythical. Here’s how I incorporate into my 10 minute makeup routine. First, I moisturize my face and neck. 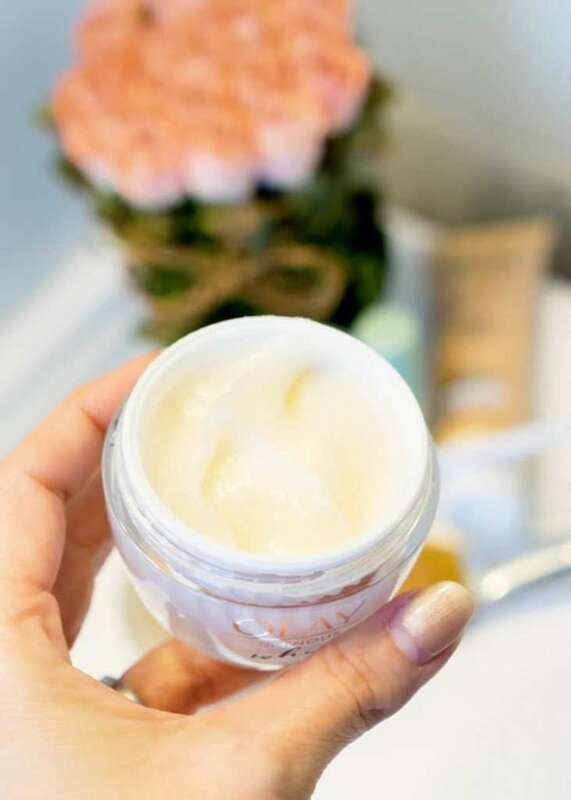 I like to give my skin a gentle massage (always sweep upwards) to help clear away any morning puffiness. 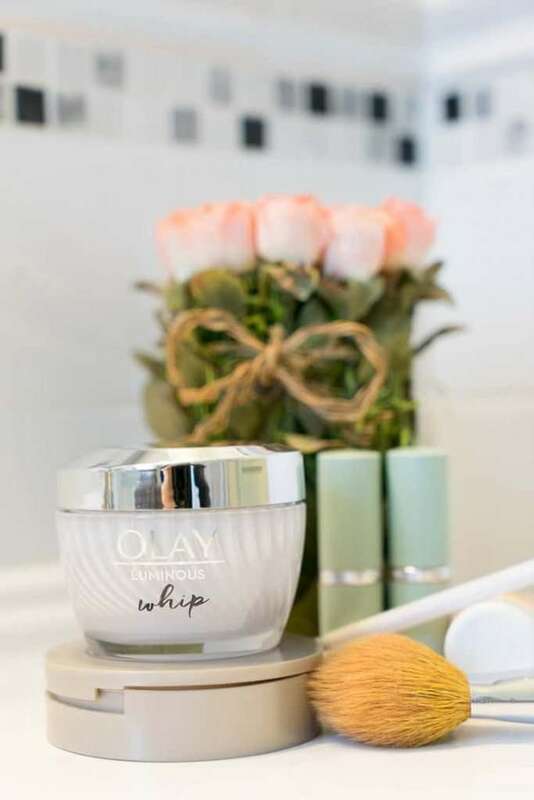 I love the way Olay Luminous Whip feels super lightweight and instantly absorbs into my skin. Unlike other moisturizers I’ve used, I’m not waiting for it to dry before I put on my makeup. Not only does it offer excellent hydration, it evens my skin tone and minimizes the appearance of my pores. Here is where I would usually apply a makeup primer, but I don’t need one with Olay Luminous Whip. It’s formulated with PearlOptics science, which gives my skin both the radiance and the smoothness I look for before applying my foundation. I’ve long suffered from uneven skin, so I always apply foundation, but I use it sparingly, so it doesn’t look caked on. It glides on smoothly over the Olay Luminous Whip. I used to apply a setting powder over my foundation, but with Olay Luminous Whip, I don’t need one. It contains a unique formula, which absorbs oils in my skin throughout the day. I no longer get that afternoon shine where my face can look a bit greasy. I apply a bit bronzer for contour and a pink blush on the apples of my cheeks. A quick mascara application to make my eyes pop. I use a lip tint or clear balm with built in SPF. Voila! 10 Minutes (sometimes less) and I’m Done! 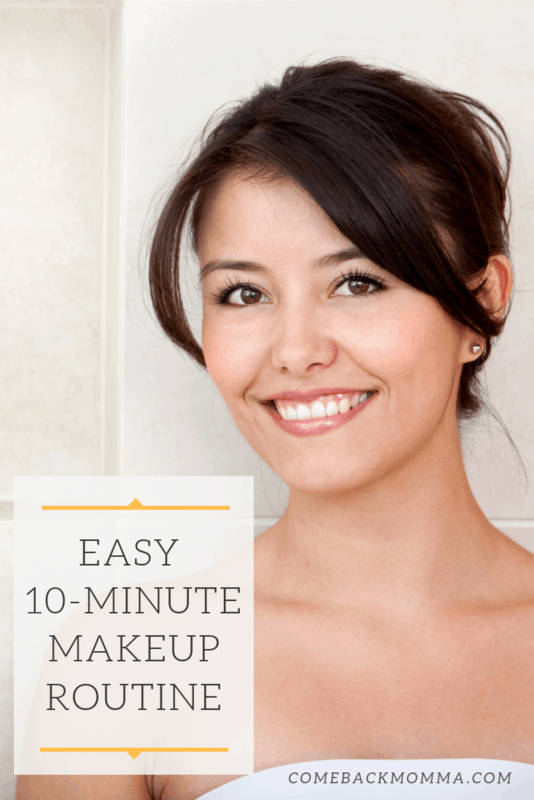 I love the way Olay Luminous Whip has eliminated the primer step in my 10-minute makeup routine. It makes it even easier! I’m out the door feeling fresh, dewy and beautiful!